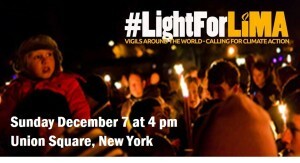 Vigils will be taking place in Washington, London, Sydney, and around the world.Learn More. World leaders will be meeting in Lima, Peru, on December 1-12, for the UN Climate Change Conference (COP20/CMP10). They’ll be working to establish the fundamentals of a strong, global agreement to reduce greenhouse gas emissions – an agreement that we hope will then be finalized in Paris in 2015. These leaders need to know that we’re holding their work in our thoughts, meditations and prayers. As they start their work, join us in a vigil calling for meaningful progress toward a world safe from climate change. 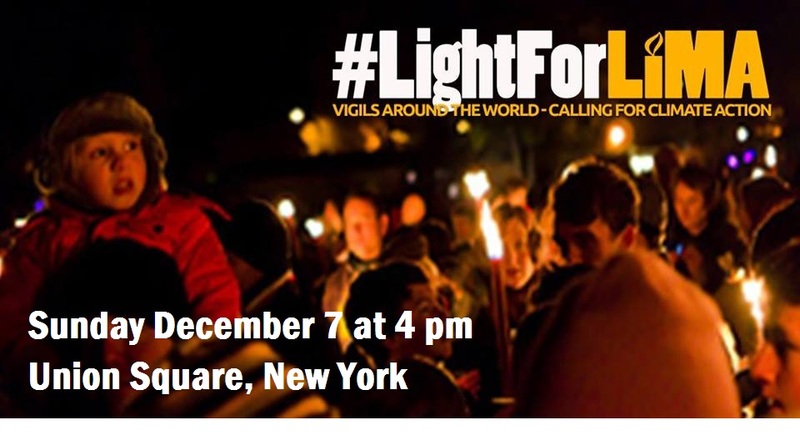 Spread the word on facebook and announce this vigil in your newsletter and at your services.